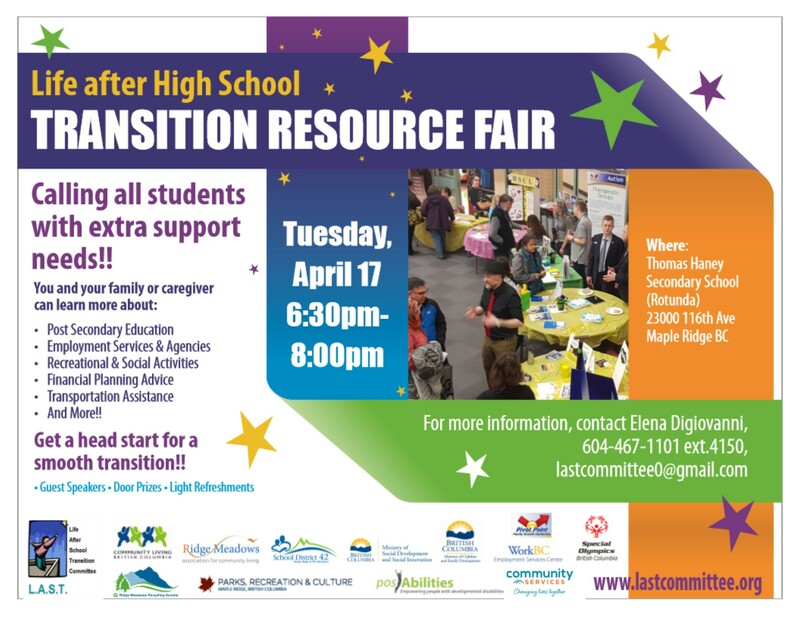 Thirty plus service providers and agencies provide learning, life skills, financial, housing, employment, social, recreational assistance for young people with developmental disabilities and or Autism and or FASD will be attending. 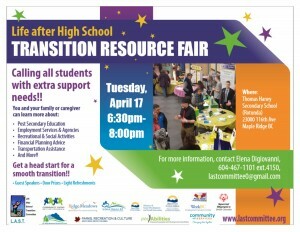 Enjoy presentations by resource providers and schools, visit their information booths and ask questions. The evening is free, everyone is welcome. No registration required. 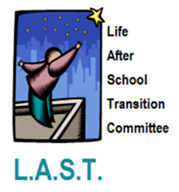 The Life After School Transition Community (LAST) is a group of service providers in Maple Ridge & Pitt Meadows that work to support and empower young people with diverse abilities to transition in life after high school.